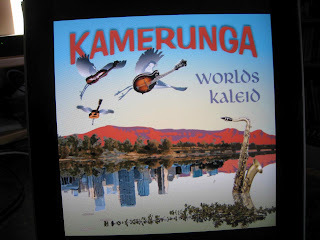 Word that Cairns-based six-piece Kamerunga had completed a second album arrived as I was pondering the interaction of traditional material and non-traditional arrangements on the back of repeated listens to the Albion Country Band with Shirley Collins (No Roses), Shirley and Dolly Collins (The Harvest Years) at the traditional end of the spectrum and Steeleye Span (A Parcel of Steeleye Span) at the reinterpretation end of the scale. I’d enjoyed The Push, and will almost certainly be lining up for whatever comes next, but (and it’s a rather big but) I find myself wishing they weren’t taking the liberties on display here with material I’ve known and been quite fond of in my own quiet way for a good thirty-plus years. There’s a clear delineation between the old traditional folk club singalong you might find on Ryebuck Shearer, Lazy Harry’s or Lime Juice Tub and the versions on offer here that puts me in the same position as a long-term Dylan fan dealing with the old boy’s refusal to deliver any of his material in a format the audience can sing along with. Now, there are at least two possible mindsets operating here. The first is a variation on the old we’ve played this stuff a thousand times in the traditional format and we’re bored, so it’s time to do a spot of rearranging routine, which is fair enough in its own way, but it does deliver the prospect of despatching the baby with the bathwater. Alternatively, it might be a case of the audience probably aren’t over-familiar with some of these so we can, in effect, do what we like with ‘em, which is also fair enough when you’ve got the instrumental chops and imagination on offer here (check the sudden change in tempo around four and a half minutes into Lazy Harry’s, for example) but it doesn’t always come off (and in support of that proposition I’d nominate the Shearer-less Ryebuck). And there’s also producer/drummer Nigel Pegrum’s take on the matter, as reported in an article in the May 2012 edition of Rhythms: “Australian people maybe had to sing them at school ... ‘this is all rubbish we had to sing with Mrs Smith at the piano’, sort of thing”. Which is also a valid point, but one that can be countered with a what if you’re used to joining in the chorus with a beer in your hand? That’s my point with Ryebuck and Lazy Harry’s, and while it doesn’t apply to the very impressive original material and the takes on less familiar folk songs, Ryebuck, in particular comes across to me as hessian underpants and will be getting the old shuffle past this one treatment as soon as this review appears on the LHoC Music blog. And Lazy Harry’s not far off the same treatment. So, with the gripes out of the way, what’ve we got this time around? Well, it’s a nautical theme to start with. 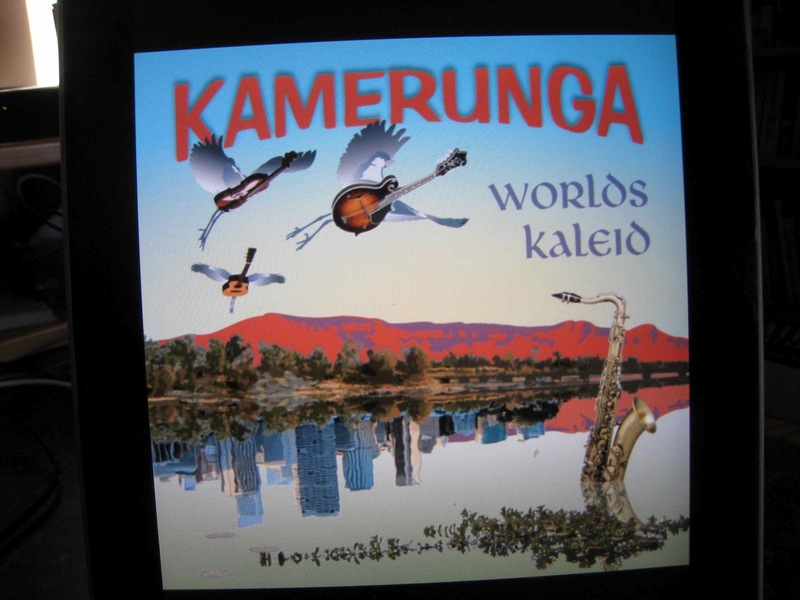 Queensland Whalers / Sligo Creek heads back to the days when Tangalooma was a whaling station rather than a tourist resort on Moreton Island, some Latin influence in the Sligo Creek play-out and trumpet from The Cat Empire’s Harry James Angus. They haven’t taken too many liberties with Lime Juice Tub, and Fannie Bay has a condemned man’s plea not to let his girlfriend know his fate delivered over a chunky reggae beat rather than the lament you’d expect. After an oud intro from Joseph Tawadros Burke's Lament delivers a cautionary tale based on Robert O’Hara Burke’s last letter. The percussion driven The Cameleers / Soldanza works a treat, and, as indicated previously I’ve got some issues with Lazy Harry's and Ryebuck, though your mileage may vary. The album winds up with the quite lovely Seisia invoking the settlement at the tip of Cape York that’s becoming known as the "Gateway to the Torres Strait" and the starting point for tours to various Torres Strait Islands. As a commercial (though I’m not sure that’s the way it was intended) it works rather well. With a line up of Peter Ella (acoustic and electric guitars, tenor guitar, keyboards, mandolin, violin and backing vocals), Andree Baudet (saxophones, keyboards, cello and backing vocals), David Martin (violin, mandolin, lead vocals), Will Kepa (bass, percussion, ukulele and backing vocals), Nigel Pegrum (drums and percussion and Tony Hillier (rhythm guitar, kazoo and backing vocals) and guest appearances from the aforementioned Harry James Angus and Joseph Tawadros, as well as Jeff Lang and The Bushwackers’ lagerphone player Dobe Newton, the cleverly named Worlds Kaleid delivers an impressive infusion of musical elements from around the globe into traditional Australian folk, delivered by an impressive instrumental lineup.